A digital door lock system provides a low-cost security solution for your home or business. They are perfect for buildings where the allocation of keys is impossible due to the volume of people who need access. There is a variety of models available offering effective access for heavy duty applications to low-security requirements, and At Call Locksmiths in Sydney can help find the best one for you. Public buildings often utilise the digital lock to secure various areas, but they can also work in the home environment as well as they provide ease of use, security and convenience. What Types Of Digital Door Locks Are There? There is a large range of digital door lock models with more being added all the time. It often depends on the level of security you are after and At Call Locksmiths are able to help you choose the most suitable product for your needs. Most models can be installed on a range of doors and are also suitable for external doors. Digital door locks can withstand violent attacks and are able to handle heavy traffic or extreme use. There is a large range of digital door lock models available with more being added all the time. It often depends on the level of security you are after and At Call Locksmiths are able to help you choose the most suitable product for your needs. 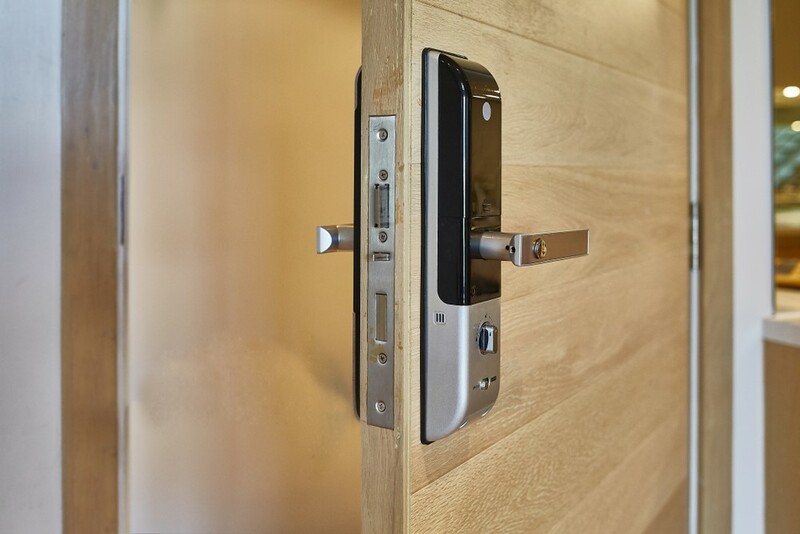 Digital door locks are slowly replacing mechanical door locks as people begin to recognise that their capabilities make them more convenient, efficient and secure than their older counterparts. We expect the trend to get more popular over time, so we’ve made ourselves the experts so we can help our customers transition with ease when they decide it is time. With mechanical locks, the requirement of more access generally means a new key needs to be provided, and in some cases, the locks need to be changed. Digital keys remove this issue and are much easier to program and shut down. Digital keys are also great for temporary access for visitors. Imagine you have a repair person coming to your house and you can’t be home. You can send them a key, granting access to your house for a certain amount of time on a particular day, rendering the key useless when it expires, maintaining your home security without putting you out. These are the types of innovation that can make simple things much easier and more convenient for you. At Call Locksmiths ensure that all of our staff are kept up to date with the changing technological security landscape. Call us on 1300 242 255 to discuss a digital lock system for your home and business that suits your needs and budget. We can supply and install a range of systems that will increase the level of convenience and security of your property while ensuring you are taking full advantage of modern security technology.